The last time you accidentally locked the door without grabbing your keys, what was your plan? If you’re lucky, the easy answer is to call someone living with you and ask them to bring their keys. On the other hand, if you’re unlucky, common methods include popping off a screen to crawl in through a window or boosting a friend up to climb over the balcony and jimmy the door open. Of course, if you don’t want the neighbors to call the police on you for breaking into your own home, or you didn’t leave a window unlocked, your only way back inside without damaging your home is to call the locksmith near you. Unlocking houses is not all we do! 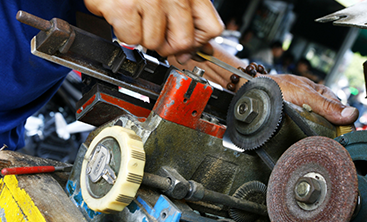 If you’re looking for ways to make your home or business safer and more secure, see what else the knowledgeable team at Destin Locksmithing can do for you. 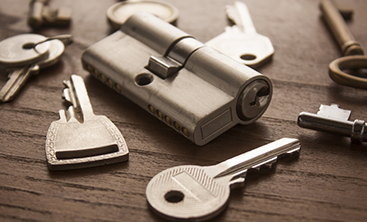 For questions about locks, keys, or securing your home or business, contact the knowledgeable team at Destin Locksmithing today to get started! One of the first steps anyone should take when moving into a newly purchased home or a new business location is rekeying all of the outer locks. This way, even if there are duplicate keys to your home that you don’t know about, you can ensure strangers don’t have an easy and untraceable way into your property. The same goes for newly built homes; keys get passed out to various contractors to get work done and it’s common for them to not all be returned. 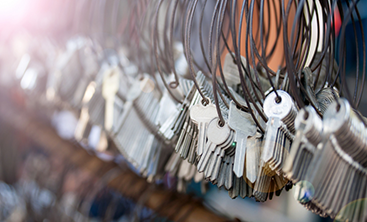 Re-keying locks is an easy and swift process to help your property’s security. If you’re looking for a change of style or an increase in home security, we can swap out or install new locks instead of simply re-keying them. We can ensure your deadbolt was installed correctly, add new locks to your doors, and even install a keyless entry system for ease of access without the drop in security. Keyless entry locks rely on a code rather than a key that can be copied, so this is an excellent option for businesses and vacation rentals! Safes are some of the most secure lock options available, so of course locksmiths can help! If you’re looking for a way to secure your valuables at home or in your business, Destin Locksmithing can install or service a safe for you. If you have a safe you can’t crack, give us a call to have it opened! Keys do, unfortunately, break. If a key has broken while in the lock, give us a call to get it removed! Of course, we can duplicate keys as well, so you can have a spare for emergencies or make copies for anyone who needs them. A great option for improving the security in your home is to have a home security system installed. With modern wi-fi connected systems, you can see what happens at home from any Internet-connected smartphone or computer. Some systems even give you remote access to lights, locks, and your thermostat as well as remote arming and disarming. For questions about locks, keys, or securing your home or business, contact the knowledgeable team at Destin Locksmithing today to get started! If you would like to place an order for a Schlage keypad door lock or find out more information on our security camera system, our variety of keyless entry locks, or other products please fill out the form below and someone will get back to you within 24 hours or email us.